• Diploma in Project Management/Business Administration or the equivalent. • Minimum of two-years previous proven work experience in a similar position; Experience in an International NGO is an added advantage. • Project management knowledge an advantage. • Effective communication skills at partner levels: verbal and written. § Ensure that all expense transactions are reasonable, valid, adequately supported by receipts and within the Country Office’s budget. • Develops and maintain an accurate and up to date records management system (including classifying and coding electronic and hardcopy files) of departmental files, manage the library of CBM resources, including the reception area information/literature. • Liaise with relevant service providers for faulty telephone lines, taxi, water, stationery and such other providers in the area of work and for timely services. • Diploma in a relevant field, such as Business Administration, Accounting and/or Finance. • Well spoken, with ability to communicate clearly and concisely. • Ability to integrate into a multi-cultural environment. 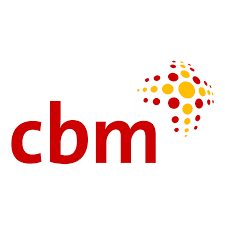 This is a local position and CBM encourages persons with disabilities who qualify to apply for this position. Only short-listed candidates will be contacted.